If we miss your call please leave a message and we will return your call. Have you moved into a new place? Have you checked the mailbox if it has any keys? Ensuring that you are the only person with a key to operate your letter box is important. Old tenants, Old owners, Old builders, Old landlords, anyone who has previously handled a key to your letter box lock may still be able to access the mailbox first. 2 keys are generally cut when you first get the brand new keys to your box. But when you move in you usually only get one key. What happened to the other key? It means anyone who used to live where you live and come back and your mail box and help themselves to there mail but also look through your personal mail. This is invasion of privacy. To stop this get your locks changed as soon as you are given the keys to your new place. Don’t hesitate. 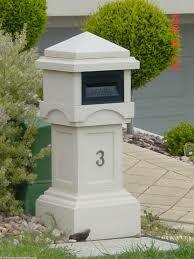 Do you have a mailbox down at the local post office? Do you need a spare key or have you lost your letter box key. Cutting keys for Australia post or replacing lost of damaged keys is a service that we provide. If you cant find a letter box key, call us to make a new key for your lock. 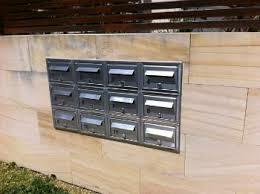 We are able to impression the lock and machine or hand file a new key to get your letter box working again. Protecting your mail is very important so you avoid identity theft. People stealing your mail. Thieves break into mailboxes and steal, bank cards, cash, passports, birth certificates, divorce papers, court orders, all the important documents. At times a divorce settlement, relationship split and family problems can be very stressful especially if its a Rocky situation. Often locks are changed on doors but the letter box is forgotten about. Changing the lock on your mailbox to keep your partner out is important if you have important documents from solicitors and Banks being sent to you. Pillar Letter Box locks can be installed. In the past It was easy to cut keys to the numbers written on a letter box lock, sometimes its a 2 or 3 digit number. The problem is now you don’t know if that lock has ever been changed and recoded. If the Lock has been Changed and rekeyed then the number on the lock is pointless. Don’t go buying a pre-cut to code key if you are not 100% sure if you lock has ever been changed. You will be wasting money. Call Target Locksmiths and get it right the first time.